Cooma fashion designer Charly Thorn says she is happy to be sleeping in her own bed again after plying an international catwalk but is hungry for more. India is the next stop for this ambitious 18-year-old. The opportunity to leave her Snowy Monaro home was forged at FashFest in Canberra this time last year, an industry scout spotted Charly’s talent and offered her a spot at Vancouver Fashion Week in Canada – if she could raise the money to get there and create a spring/summer collection. We package up the most-read About Regional stories of the past week and send direct to your inbox every Tuesday afternoon. Subscribing is the easiest way to keep up, in one hit. By submitting your email address you are agreeing to About Regional's terms and conditions. 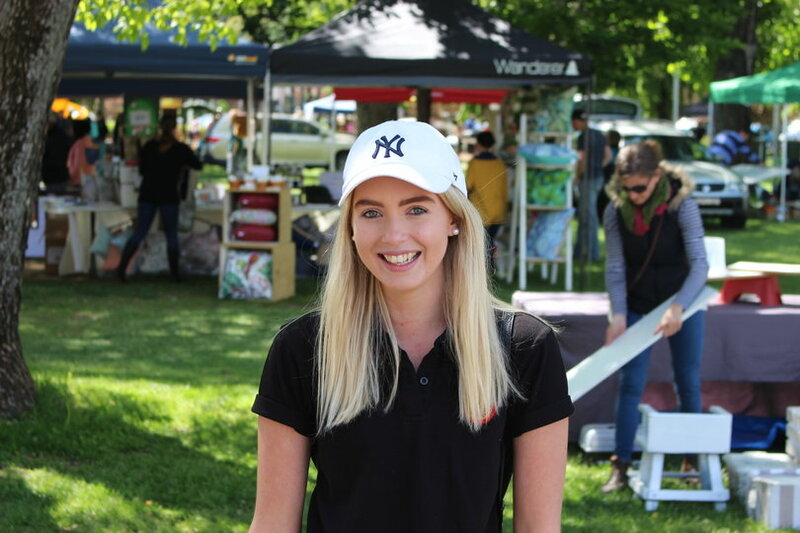 Cooma turned out to make sure the opportunity didn’t pass her by with a fashion show fundraiser held earlier this year to supplement Charly’s savings while working at the town’s Thai restaurant and at the online fashion house Birdsnest. In Vancouver, Charly’s designs were the first to stride out before an audience of media and international buyers – Charly was the opening event. “It was such a thrill, seeing my creations walk down a runway together as a collection,” she says. New York was added to the travel schedule, her youth and ability the ticket. “I grabbed an awesome opportunity in New York, there was a day at Parsons School for Design, which is where I have always wanted to go, my dream school,” Charly says. 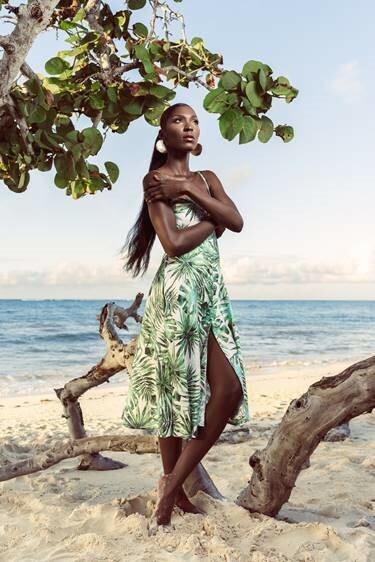 The collection Charly presented in Canada was a mix of her two homes – Hamilton Island off Queensland’s tropical coast and Cooma, a stone throw from Australia’s highest peak and coldest temperatures. Since she was a baby, Charly’s year has been split between the families snow business – Village Ski Hire in Cooma during winter and another life and business on Hamilton Island in the warmer months. 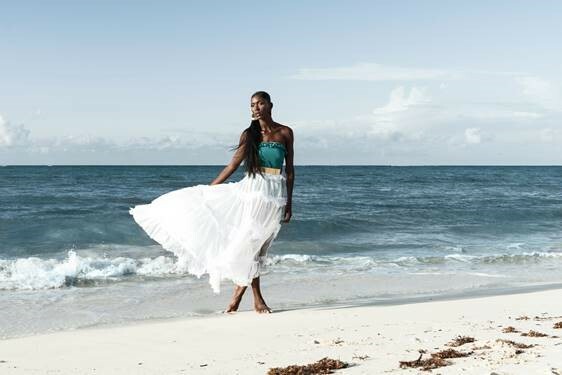 It’s a lifestyle that gave birth to, until now, an unlikely connection – holiday time resort wear meets Merino wool, an idea that attracted positive coverage from fashion bible Vogue. “It was a real contrast for people and challenged what they think of when they think wool – lots of beachwear, very floaty – a juxtaposition that puts wool on the beach or beside the pool,” Charly says. “It works though, wool is so breathable, it’s really nice to wear, and at the end of its life when you throw it out it’s not going to hurt the environment. “To be able to showcase Australian wool, alongside other natural fibres like linen and silk, on an international stage is awesome,” Charly says. The colour and cut of the cloth wasn’t the only point of interest in Charly’s travels, the 18-year-old’s passion for the Monaro’s fibre lead to conversations at Parsons around the marketing and production of wool. “America is talking about localising wool, not just production on local farms but also the milling, dyeing, and manufacturing side of the business in local factories. “I really hope Australia follows that trend, because at the moment once wool leaves Australian farms it goes to China to be dyed and go through a fabric mill, and then we buy it back from them for manufacturing,” Charly explains. “It’s really tricky to track wool once it leaves the farm. “Food has already done it, people want to know where their products come from,” Charly says. Still coming down off her high, Charly is considering her next move. “To be in the middle of all those creatives is what I live for,” Charly says. In the meantime, work as a trainee at Birdsnest has opened a door to travel to India in December. “Every year they visit their suppliers and I just said can I come with you? I’ll pay my way, I just want to come and watch,” Charly says. The experience in Vancouver and New York has left her hungry for more and it’s impossible not to believe 2018 will be the start of so much more for Charly Thorn and her homespun unique inspirations. *About Regional content happens because of the contributions of members including – Tathra Beach House Appartments, Four Winds Bermagui, Kate Liston-Mills, Kym Mogeridge, Pam Murray, Jo Saccomani, and Doug Reckord. Thank you!